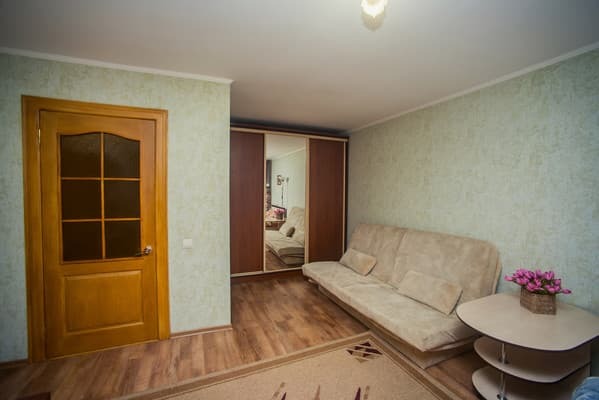 Apartments "At Lushpa Avenue 48" are located in the central part of Sumy. 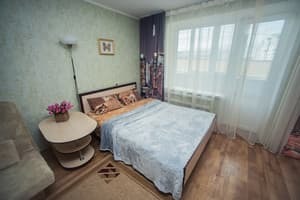 Guests are offered accommodation in a comfortable apartment for 4 people. The apartments are equipped with comfortable furniture, household and kitchen appliances. The kitchen is equipped with a fridge, microwave, electric kettle, crockery. Free Wi-Fi is available. 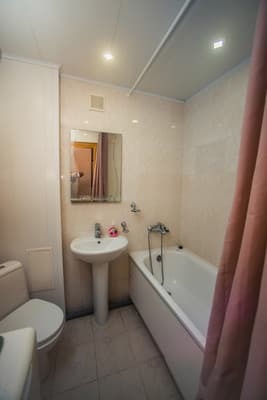 Not far from the apartments "On the avenue Lushpa 48" are located: shopping and entertainment centers, grocery stores, restaurants, banks. The distance to the railway station is 4.5 km, to the bus station - 5.5 km. Все очень хорошо. Добавить к напольному вентилятору еще и кондиционер, будет отлично. The apartment has an equipped kitchen for self-cooking. 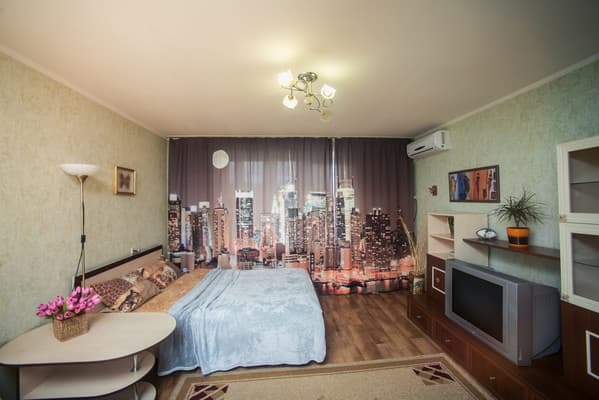 The apartments are located in the central part of Sumy. The distance to the railway station is 4.5 km, to the bus station - 5.5 km. From the bus station to Lushpa Avenue you can take a shuttle bus number 13, from the railway station - shuttle bus number 2.